The Colombian National Planning Department (DNP), in collaboration with the Global Green Growth Institute (http://gggi.org/), the Research Group on Environmental, Natural Resource and Applied Economics Studies (REES - EfD Colombia) hosted at Universidad de Los Andes, the Colombian Ministry of Finance and the Inter-American Development Bank, are organizing the Symposium on Green Growth and Economic Policy, which will be held at Universidad de Los Andes, Bogotá, from 18th to 19th July, 2017. 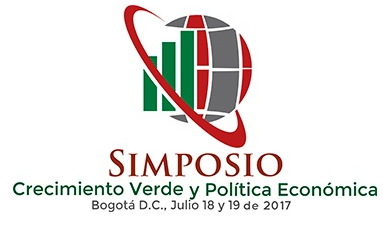 The Colombian government has organized a Green Growth Task Force, which aims to formulate the long-run green growth policy for Colombia (https://www.dnp.gov.co/Crecimiento-Verde/Paginas/default.aspx). This Conference represents an opportunity for the National Planning Department of Colombia to receive academic inputs for the formulation, design and evaluation of economic policies for the green growth and the environmental sustainability of Colombia. Participants attending this conference will discuss four subjects: behavioral economics, economic modelling, circular economy and economic and financial instruments. For the behavioral economics subject, the main interest relies on research in topics such as cooperation, competence, self-control and learning associated to green growth. The economic modelling subject covers a broad scope of research which includes computable general equilibrium models for climate change mitigation and adaptation strategies, and models on energy regulation and renewable energy use. Regarding circular economy, researchers are invited to present analysis on the life cycle of products and industry initiatives to reduce waste and improve industry efficiency. Finally, the subject of economic instruments will discuss academic contributions on topics such as measures or mechanisms to reduce the over-exploitation of natural resources and local and global emissions.